(Macao, Sept. 4, 2018) – The Venetian® Macao has taken three top titles at the World Travel Awards Asia & Australasia Gala Ceremony 2018, staged in Hong Kong yesterday, including Asia’s Leading Resort, Macau’s Leading Casino Resort and Macau’s Leading Resort. This is the 10th year The Venetian Macao has been recognised at the World Travel Awards, after also winning Macau’s Leading Resort and Macau’s Leading Casino Resort at last year’s event. The accolades reflect the integrated resort’s consistent excellence across all areas of operations and dedication to service quality. Voting for the World Travel Awards is open to professionals in the travel and tourism industries and business and leisure travellers via the organisation’s website. The World Travel Awards was established in 1993 to identify and reward the world’s best travel organisations. They have now developed into the most comprehensive and prestigious awards programme in the travel and tourism industry and acknowledged as a benchmark of excellence. 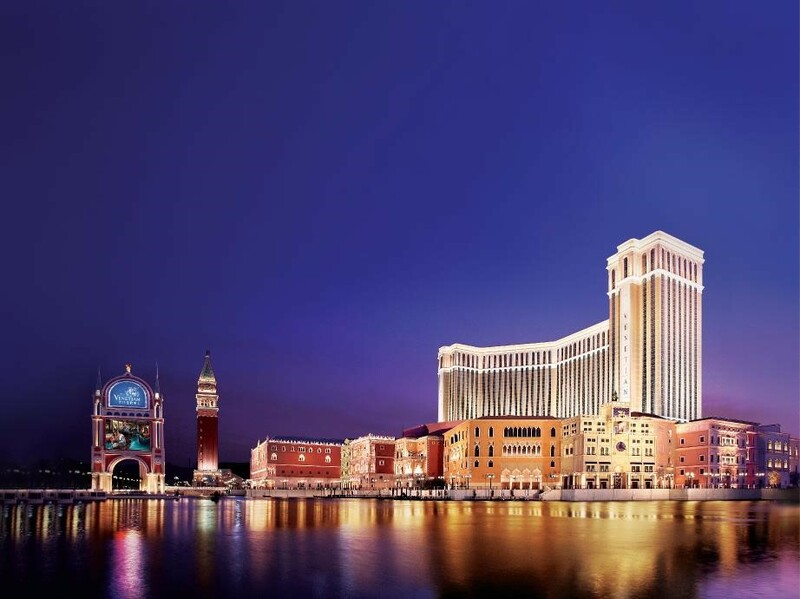 The Venetian Macao marked its 10th anniversary last year with a refurbishment of its 3,000 suites and added Il Prato, a spacious event lawn which can accommodate up to 5,000 people for a wide range of events. Photo caption: The Venetian Macao has been voted Asia’s Leading Resort, Macau’s Leading Casino Resort and Macau’s Leading Resort at the World Travel Awards Asia & Australasia Gala Ceremony 2018. Opened in 2007, The Venetian® Macao is Macao's first integrated resort featuring stunning replicas of the famous canals and architectural icons of Venice, Italy. The Venetian Macao features 3,000 suites, 1.2 million square feet (111,000 square metres) of convention and meeting facilities as well as a 15,000-seat Cotai Arena designed for world-class sports events and electrifying entertainment. The Venetian Macao is also home to the unique, 1,800-seat luxury Venetian Theatre, hosting the best in international and Chinese entertainment; more than 30 renowned restaurants; the incredibly fun QUBE indoor playground and more than 350 retailers at Shoppes at Venetian. Outdoor recreation areas include swimming pools and cabanas and a mini-golf course.